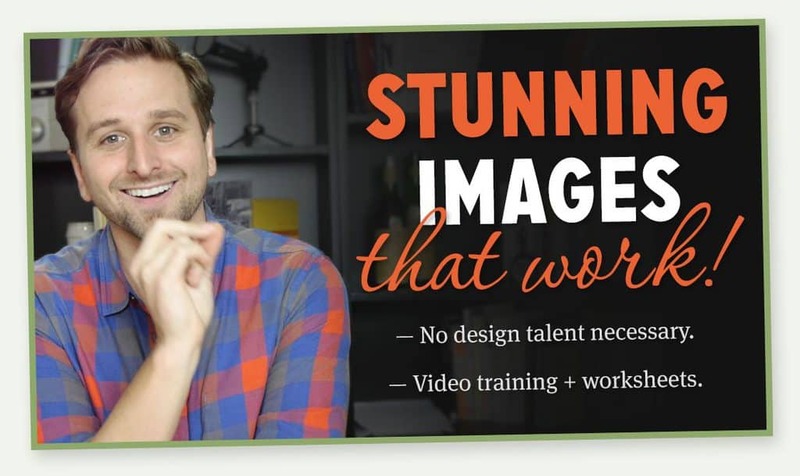 You want images on your website and social media because you need to stand out and entice people to your website. You want to know how to make great images because humans — no matter how smart — have multiple senses, and, in the world of multimedia, we get to play on and tempt multiple senses. 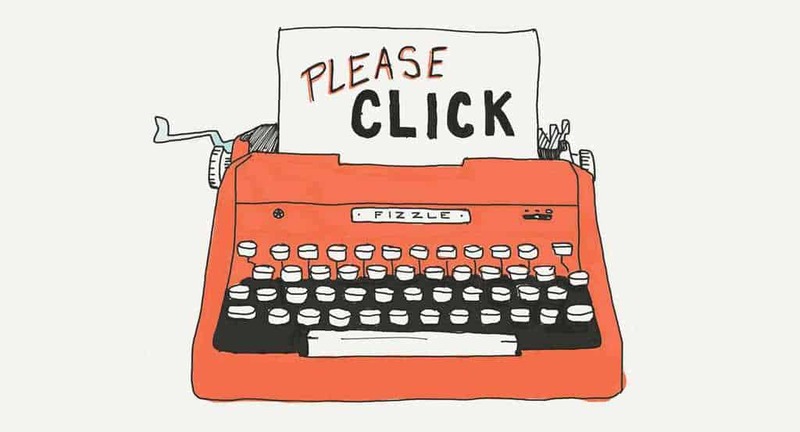 You want great images for your blog and social interactions because your ideas, your prose, your copy, your content is good but keeps getting overlooked in the cesspool of modern media. Look at Favstar and see which are the most popular tweets of your heroes online. Are there some images up there? Are they all images? Images are visceral. They can speak richly and deeply in a split second, deep down in our lizard brain. They can… but most of the crap you’ll see online is limp drivel, a waste of your time and mine. It’s not rocket science! It’s human. It’s in you. 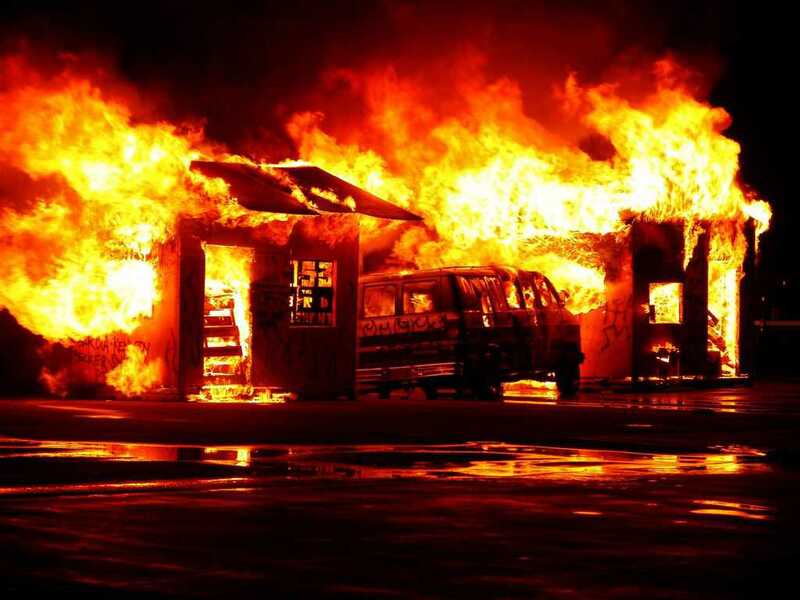 You can absolutely put together images that compel and ignite… but you’ve got to understand some key concepts. Directors and screenwriters know how important it is to show not just tell. 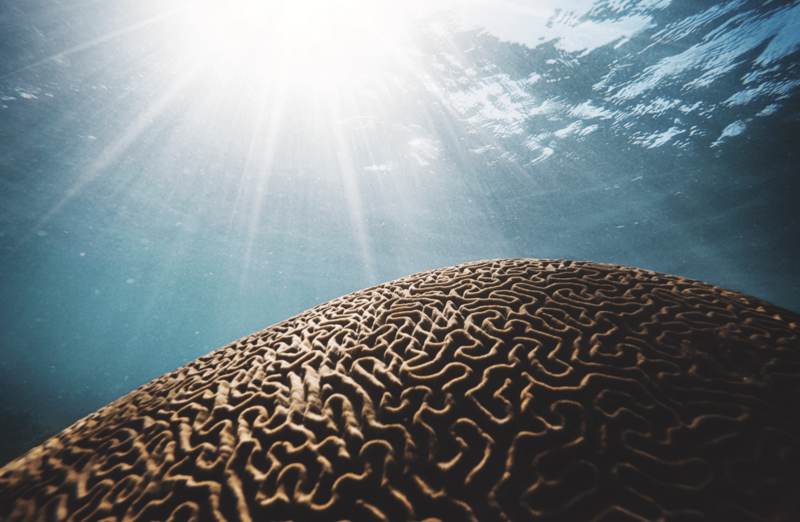 One day I’ll geek out with you on some of the psychology and biology of effective images, but today lets focus on something much more actionable. Let’s get down to the brass tacks, exactly what you need to get your hands dirty, the tangibles. 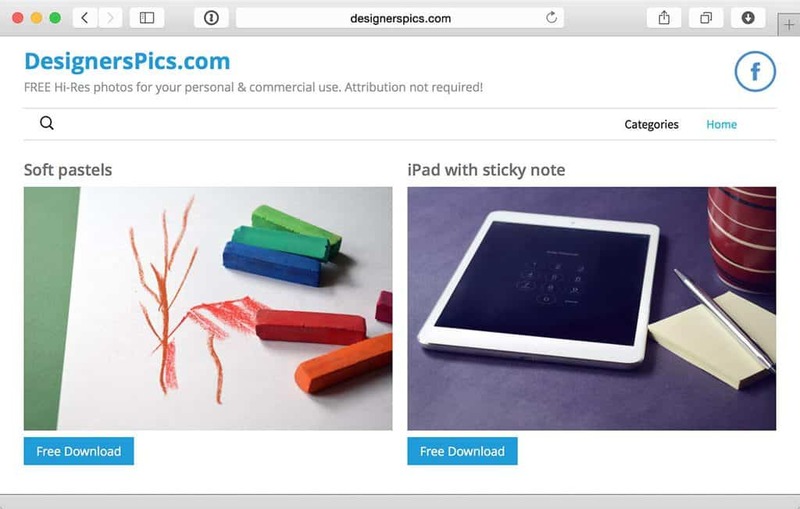 You need to know where to find images, fonts and icons that ARE going to help you stand out and get attention and that AREN’T going to break the bank or get you sued. How to not get sued! What’s working well for experts? How will you create your own style? 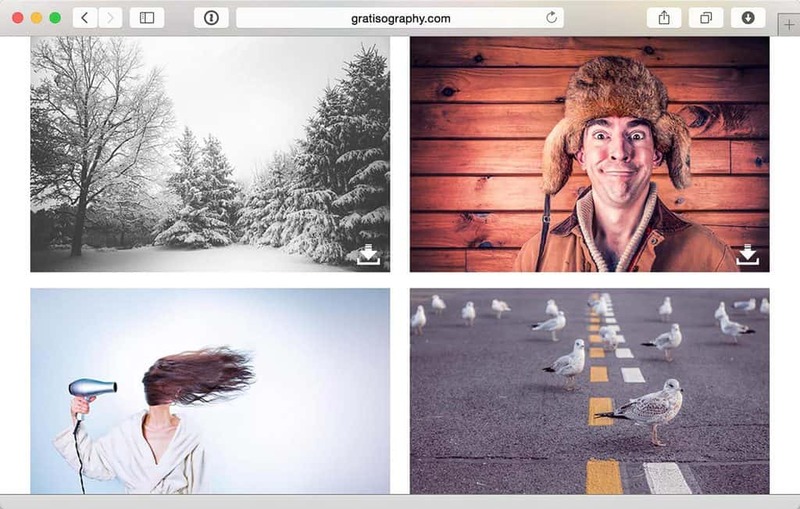 How can you come up with ideas for great images to entice more visitors? 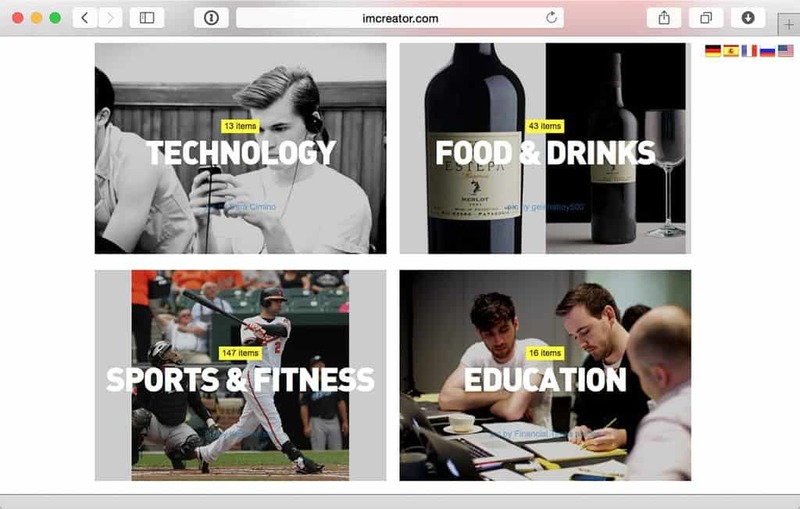 What are the best tools to use (especially if you have no design background)? 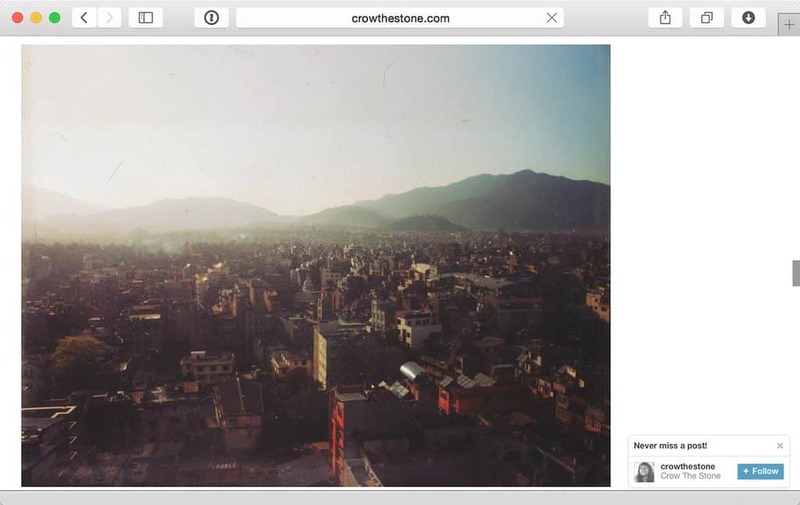 Getting sued for using images you don’t have the right to use is a real thing! How can we steer clear of ALL danger? 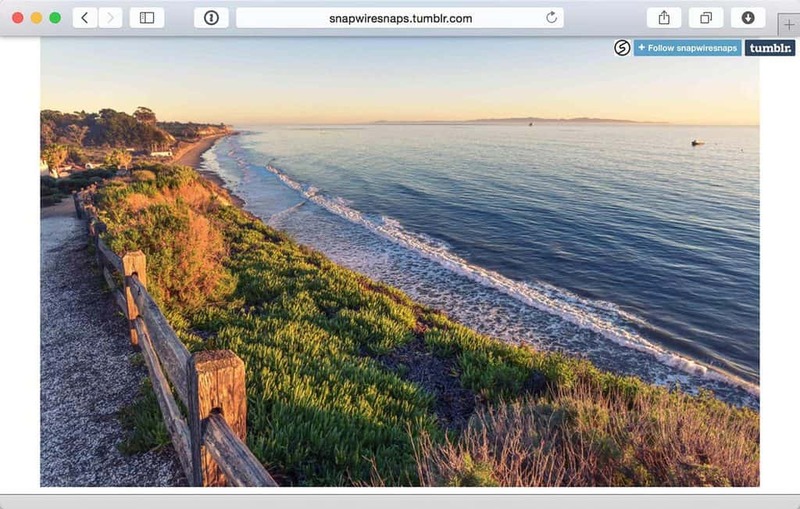 don’t use copyrighted images… assume every image on the internet is copyrighted. 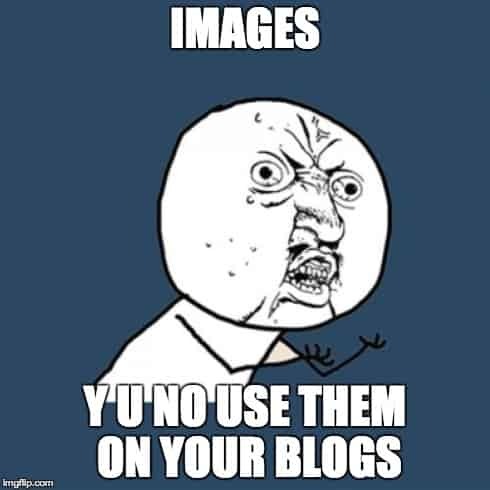 Never use an image from Google Images or any other image source you don’t fully understand. Pay attention to the license of each image. 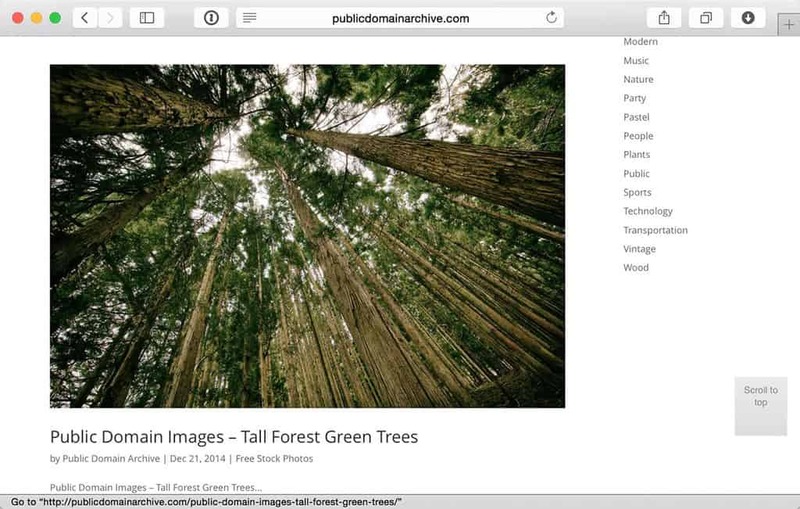 Most of the sites below share totally free, public domain images; you can use them however you want. Others, however, require author attribution, or contain limitations like no commercial use. Some are free and others require payment, etc. 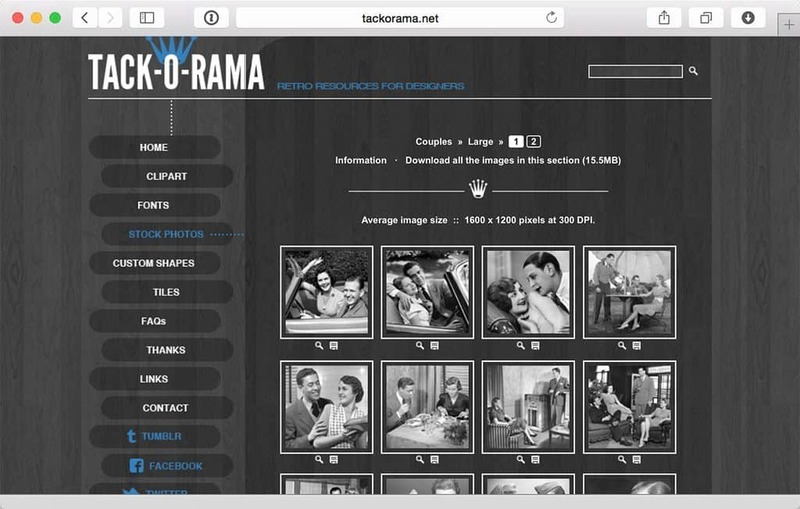 The license of all photos you’ll find on the sites below is easy to find and understand on those sites. So, do a check through on the image before you download and use it. 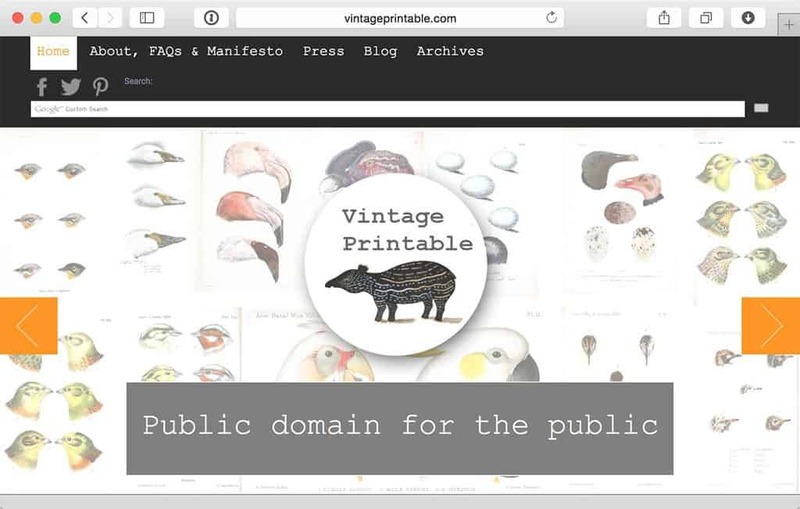 Public Domain — “… belonging or being available to the public as a whole, and therefore not subject to copyright” ∞. Free to use and edit and mangle and publish as you see fit forever and ever amen! Attribution — “You must give appropriate credit, provide a link to the license, and indicate if changes were made. You may do so in any reasonable manner, but not in any way that suggests the licensor endorses you or your use” ∞. Confession: I normally simply include the creator’s name and a link to the original image (example), and it sounds like I may be doing that wrong and should be including: a copyright notice, a license notice and a disclaimer notice as well. 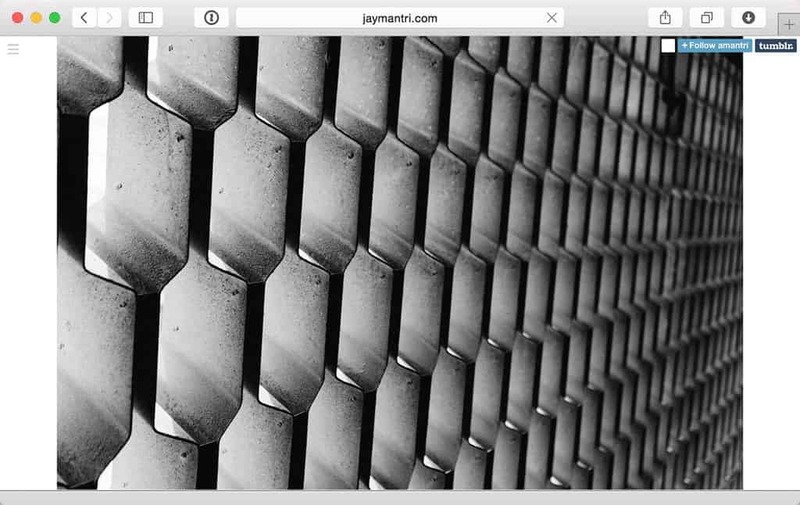 Share Alike — “If you remix, transform, or build upon the material, you must distribute your contributions under the same license as the original” ∞. So if you use an image with Share Alike on it’s license, you have to be ok with others taking your image and doing a similar thing with it. I’m normally just fine with this. Non Commercial — “You may not use the material for commercial purposes. 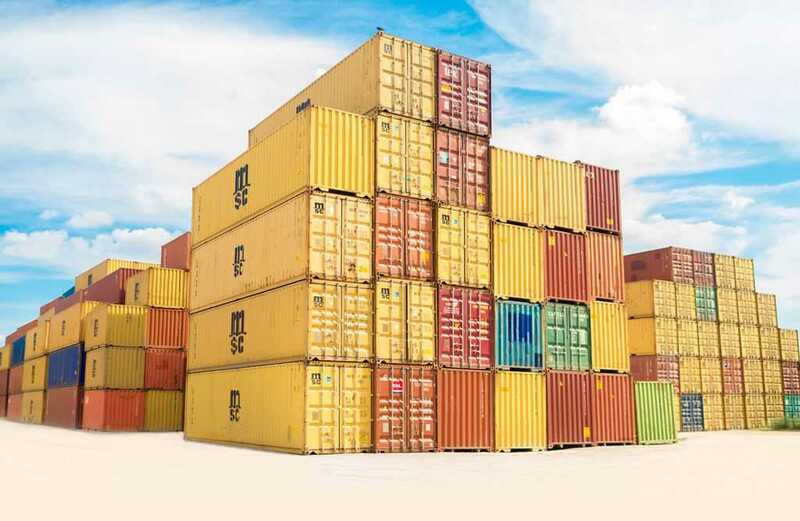 A commercial use is one primarily intended for commercial advantage or monetary compensation” ∞. So is that free email giveaway commercial or non commercial? 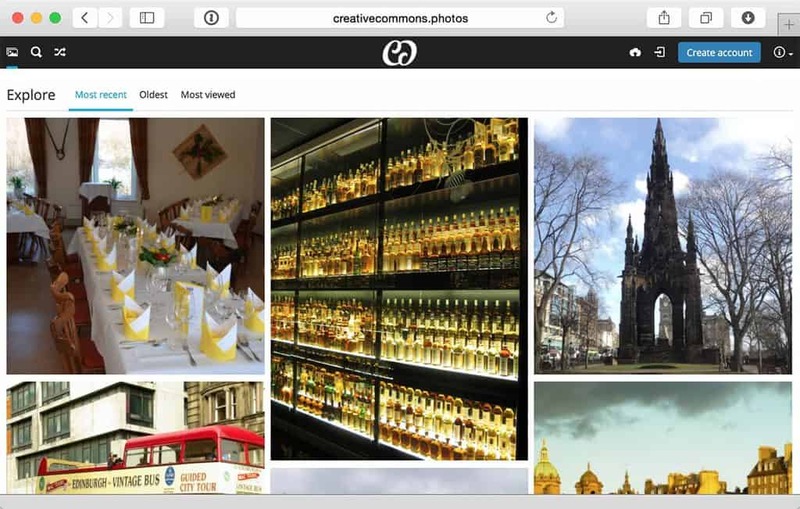 The confusion is warranted (even CreativeCommons is confused about it). Go with your gut on this one, I do. DISCLAIMER: None of the above is legal advice. I am not a lawyer. Don’t take my word for it. Etc. 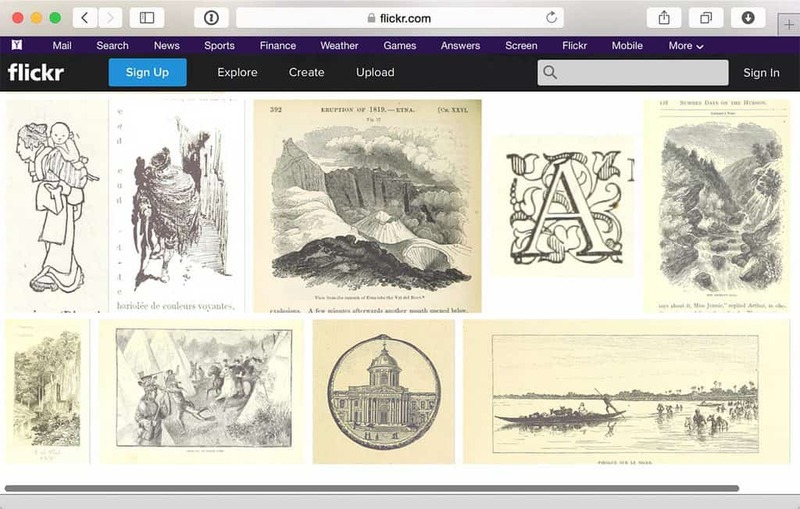 Find 3-5 image sources you really like. Limit yourself to these. 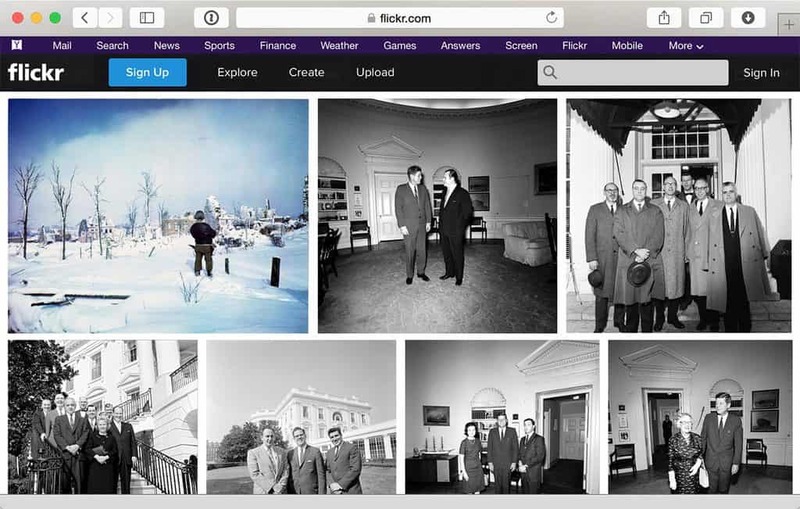 If it were me, for example, I’d choose New Old Stock and the Library/Museum flickr accounts (because I like old stuff and they’re all public domain). Understand the licenses of those sources. Do you need to link to the source? Are they ok for commercial use? 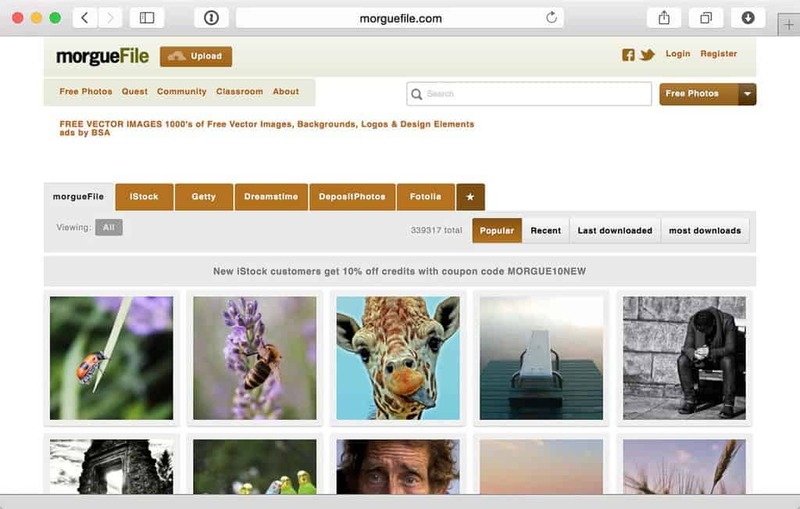 Take a few minutes to understand how your chosen sites allow you to use their images. Bookmark those sites and invest some time getting used to how they organize things. 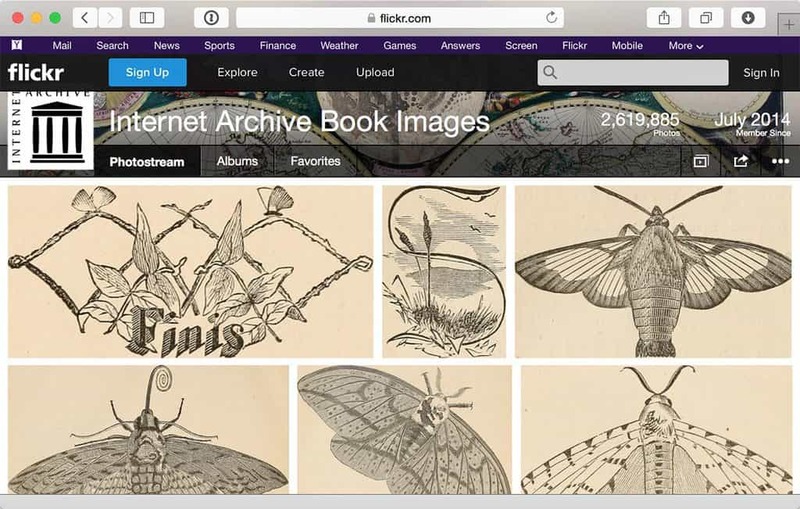 Maybe start collecting images in a folder on your computer or Evernote. You’ll never know when a great idea will strike. I’d find 2 fonts I like from the links below, downloading and installing them on my system. One kinda funky and fun, the other readable and solid, both unique feeling to me. I’d create 1 or 2 templates (I use photoshop, but you could use Canva or SumoPaint or Pixlr or something else) with an image as the background and some text on top how I like it. I’d follow a template like this but much larger. Creating an image for every blog post is now as important (and accessible) to me as creating a great headline. I’ve got bookmarks, fonts and templates. You see images like these all over the place today. Faded and stylized images that create a kind of modern vintage look that feels well worn like your favorite pair of jeans. 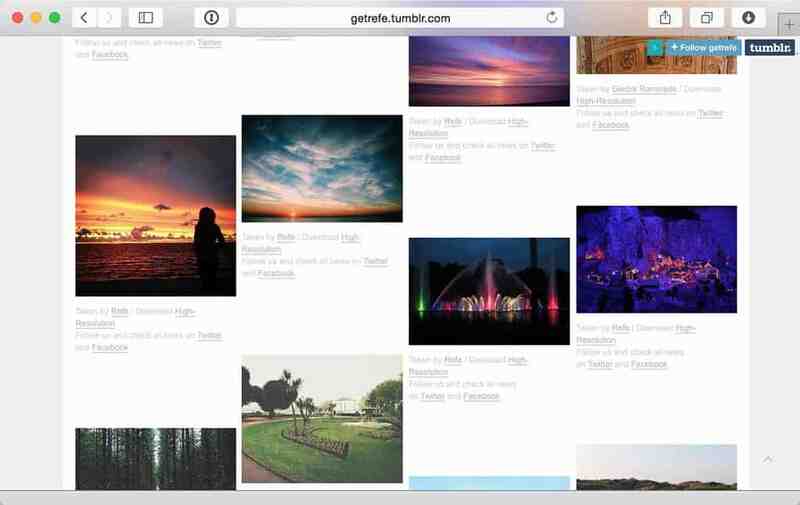 Below is our favorite places to find these kinds of images. Note: these kinds of images are getting very popular, so standing out means using your own effects, filters and maybe even text. 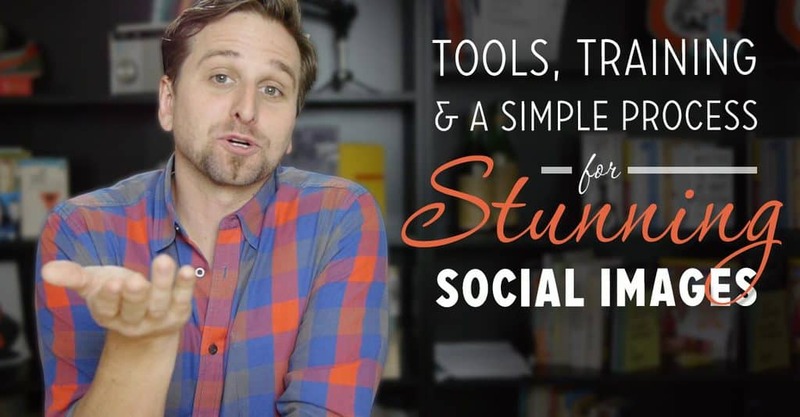 In the shareable images course I get into several options and tutorials and Canva definitely comes out as a top tool for this. 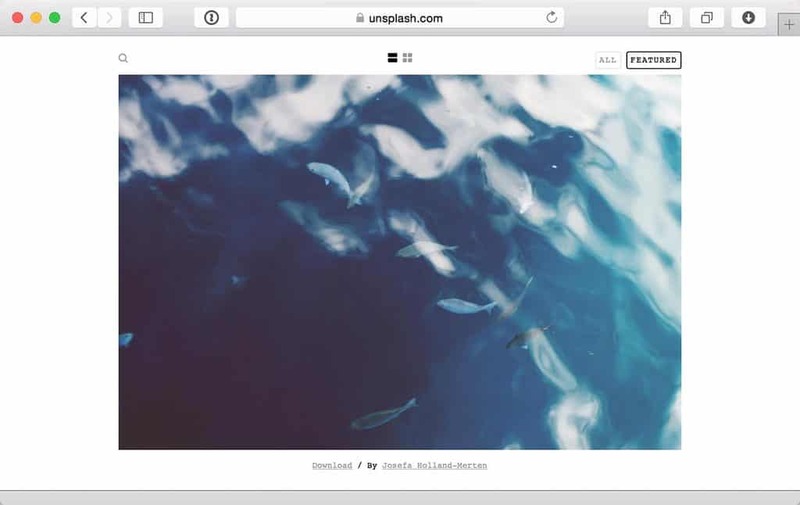 TheStocks.im — This one combines several of the sites linked to below in one interface. It’s a Hipster Image paradise! (But can be a little clunky). 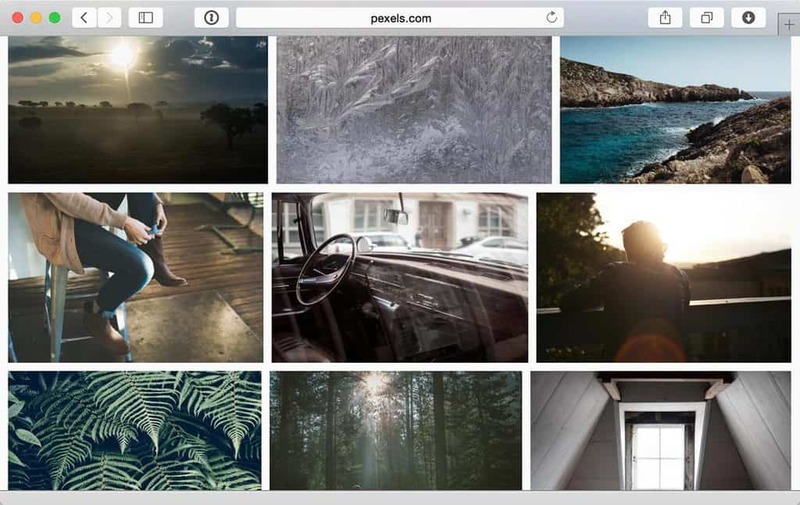 Pexels — This one seems to have more images than most of the others (or so it seems from my google images trick below). 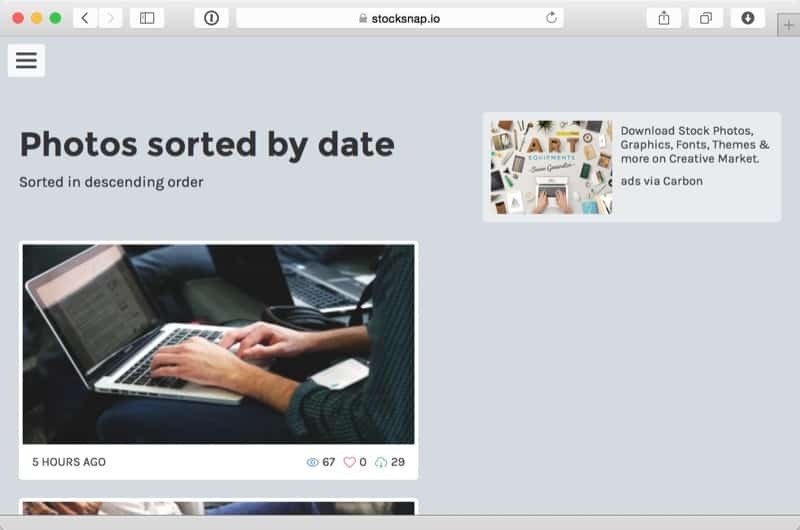 StockSnap.io — Another site pulling in images that a lot of the others have. The site works well. 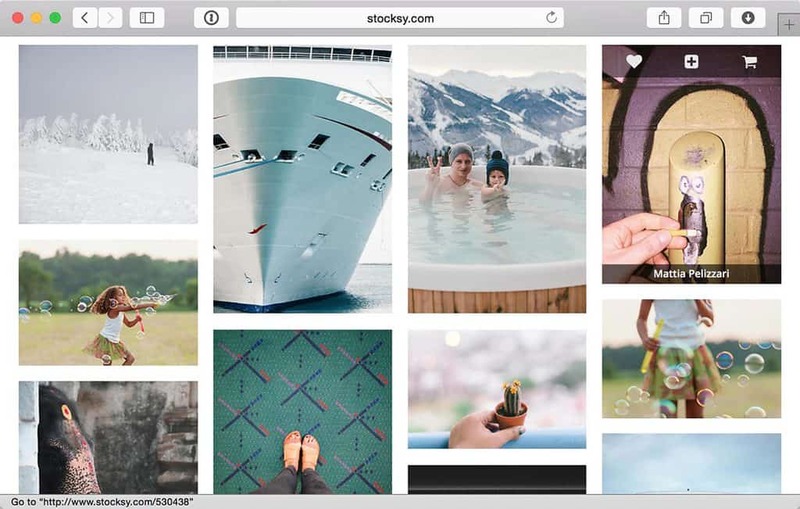 StockUp — Can be a bit generic feeling but still some good stuff. 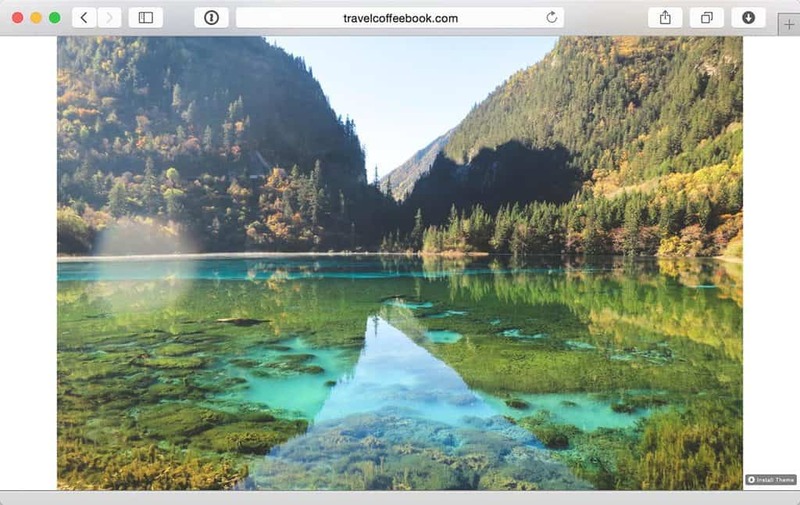 TravelCoffeeBook — Lots of travel and nature shots. 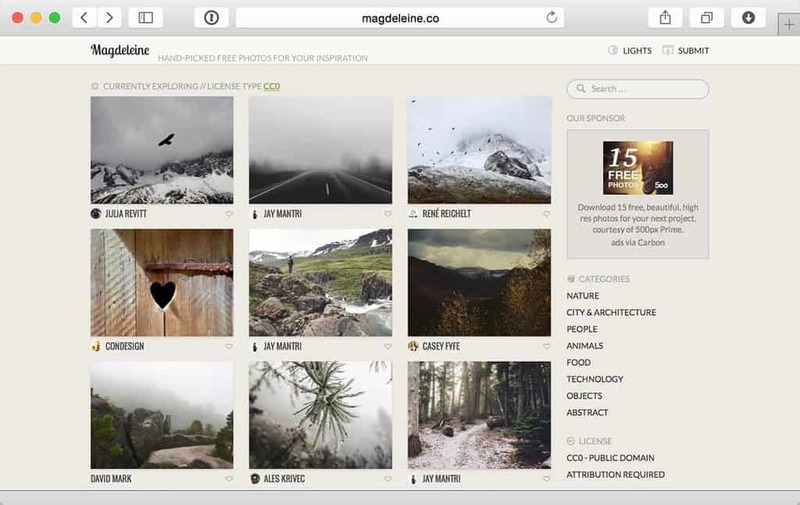 Magdeleine.co — You’ll have to check the licenses for these. Here’s where non attribution images are (i.e., you don’t have to include a link to the author). 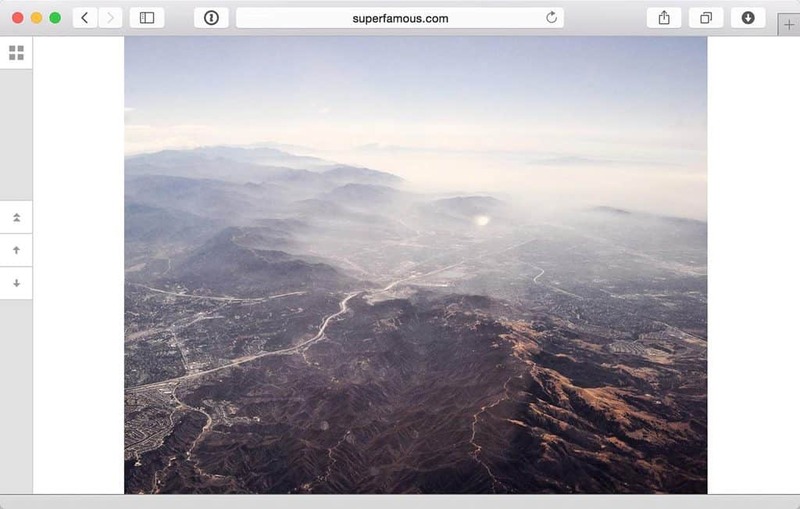 SuperFamous.com — Mostly nature and cityscapes. Beautiful stuff. 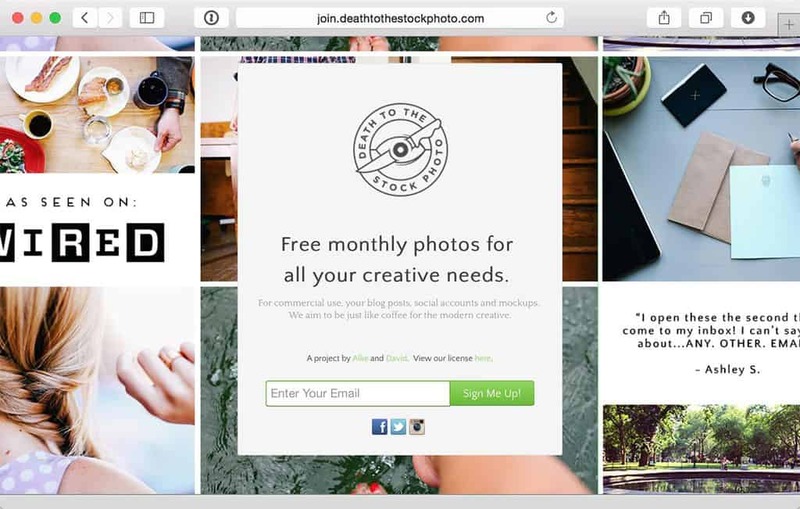 DeathToTheStockPhoto.com — You’ll have to sign up for this one via email, but the buzz about this site is great. 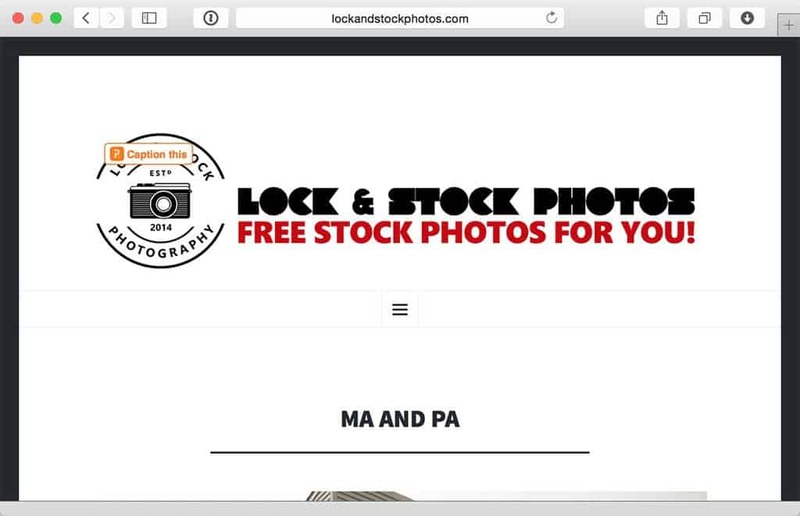 Stocksy.com — This one is NOT free, but the images are so good I had to include it. 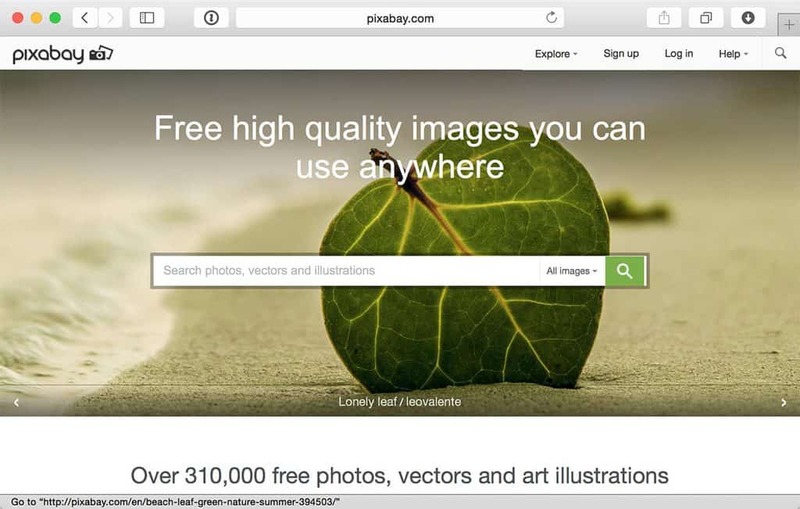 These sources are great for those clean, clear, less stylized kind of images. 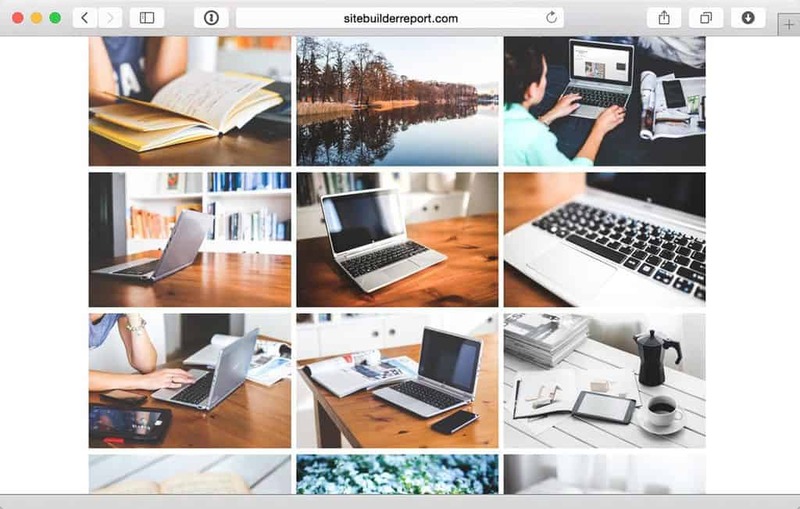 They can look a bit too much like stock photography at times, but there’s tons to choose from on these sites. Secret Museum of Mankind — going waaaaaaaay back. 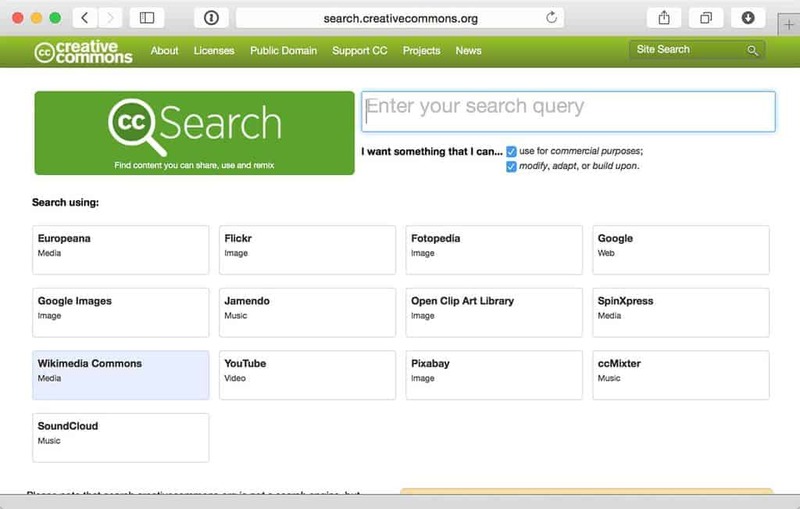 Creative Commons is a kind of license many creators use to for their work. There are different licenses with different restrictions which you can learn about here. 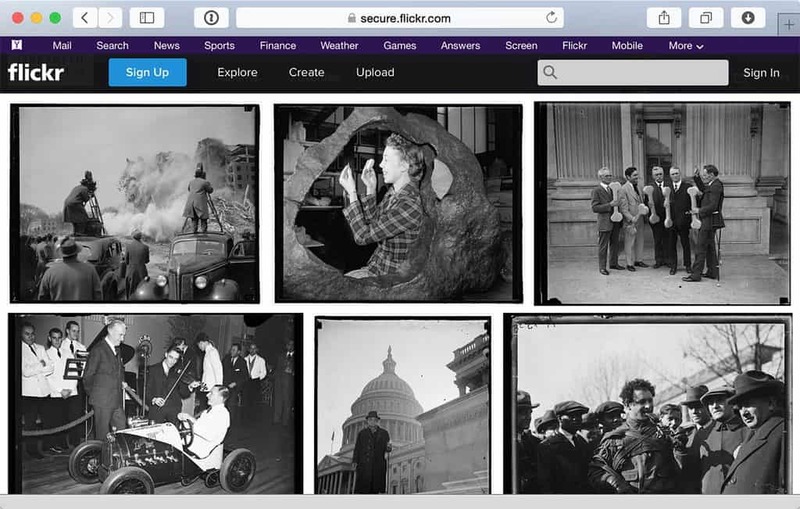 These repositories aren’t curated, they’re simply collections of images with specific kinds of licenses. 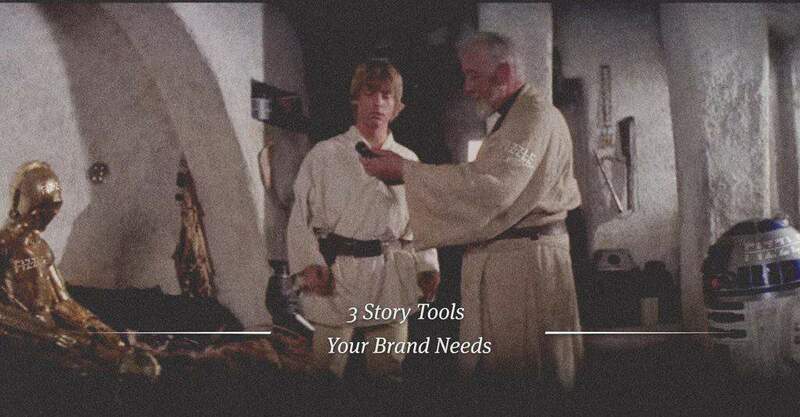 Most require attribution, i.e., including a link to the original image somewhere on the page you use the image. 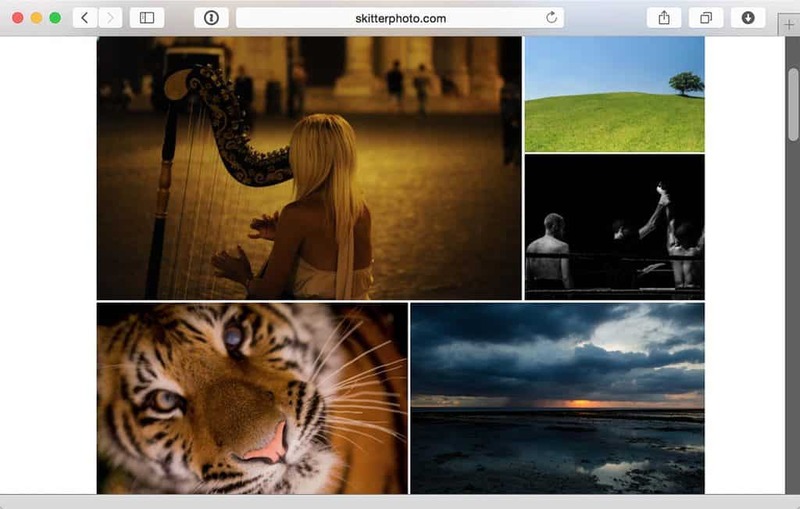 Note: The only CC licenses I go for are “Attribution” and “Attribution-ShareAlike.” With many of the sites below you can choose to search only for those kinds of images. 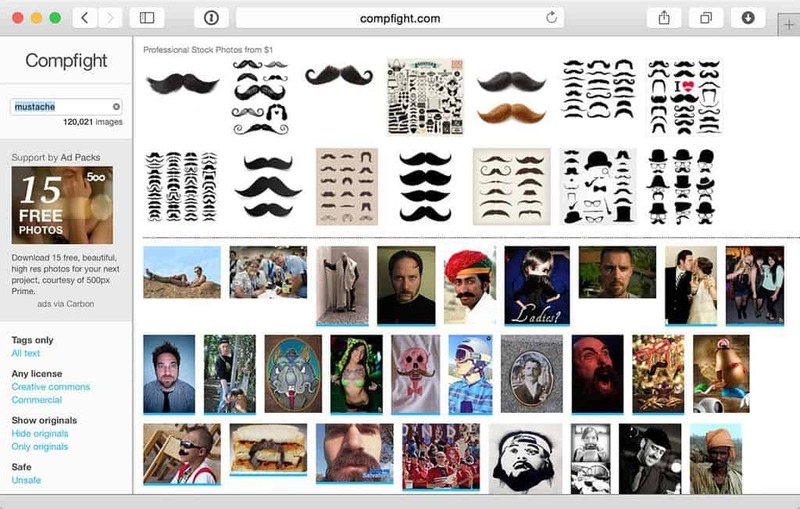 compfight.com — simply searches Flickr and does a damn fine job of it. You can filter by license on the left hand side. 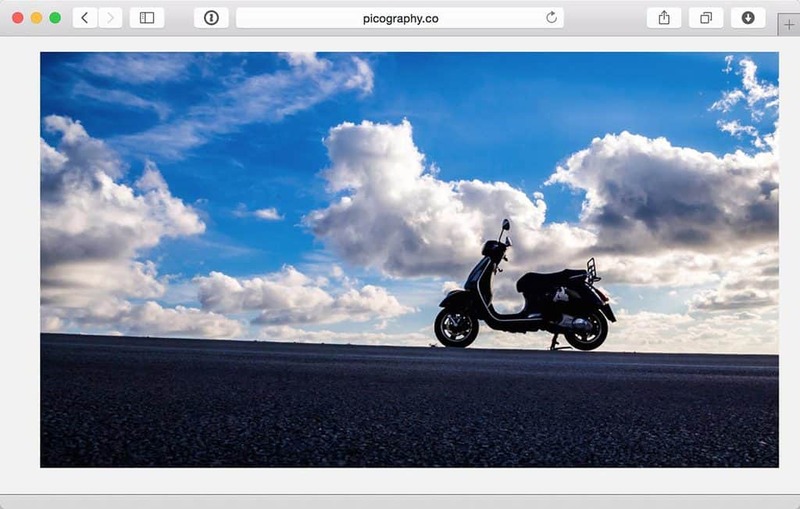 Make sure you notice what license the photo you use has, you’ll definitely need to attribute a link to the author of the image. 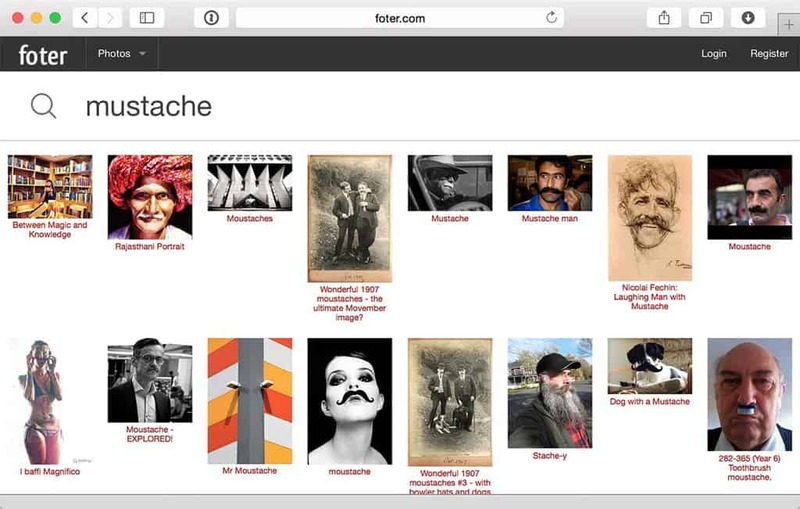 foter.com — same as above: make sure you pay attention to the license of each image as they vary. 500px.com/CreativeCommons — the CC licensed images on 500px.com. Pay attention to licenses! 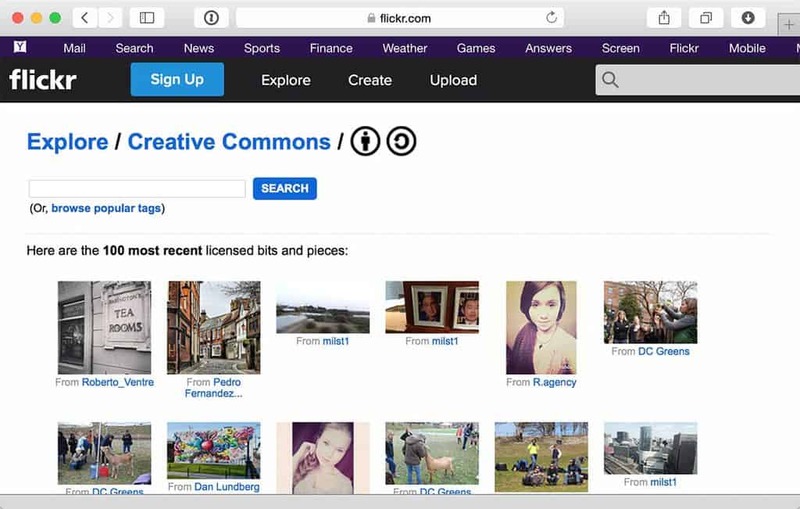 Flickr.com/CreativeCommons — Flickr’s CC licensed images. 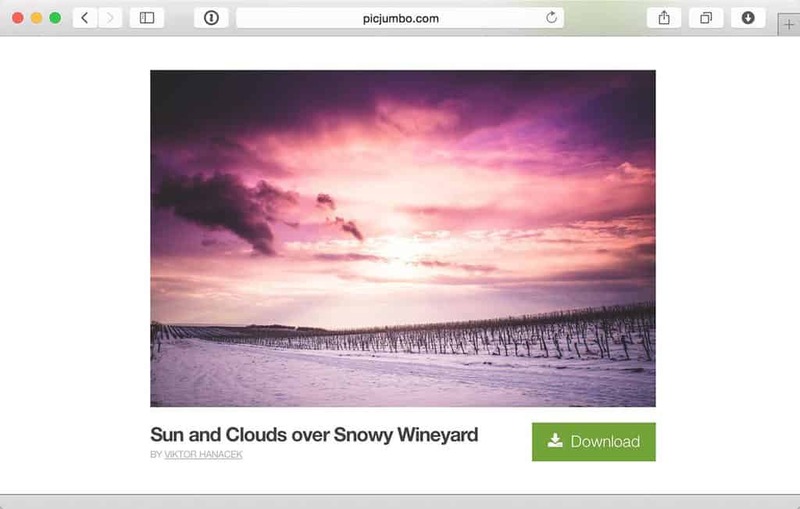 You can also search by Attribution and Attribution-ShareAlike licenses. 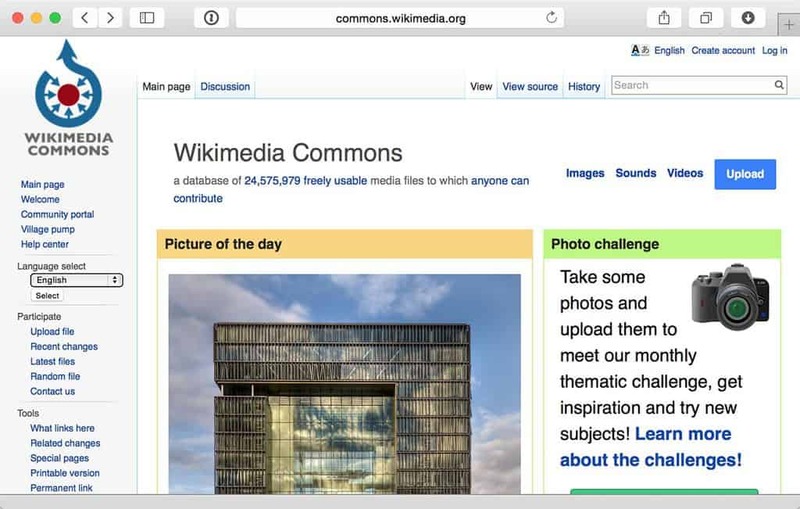 Commons.Wikimedia.org — Also available is this great Wikimedia search engine. You can find some wild public domain stuff on Wikimedia. Icons can add an extra layer of metaphor to your images. They’re clean, clear and crisp, communicating immediately. 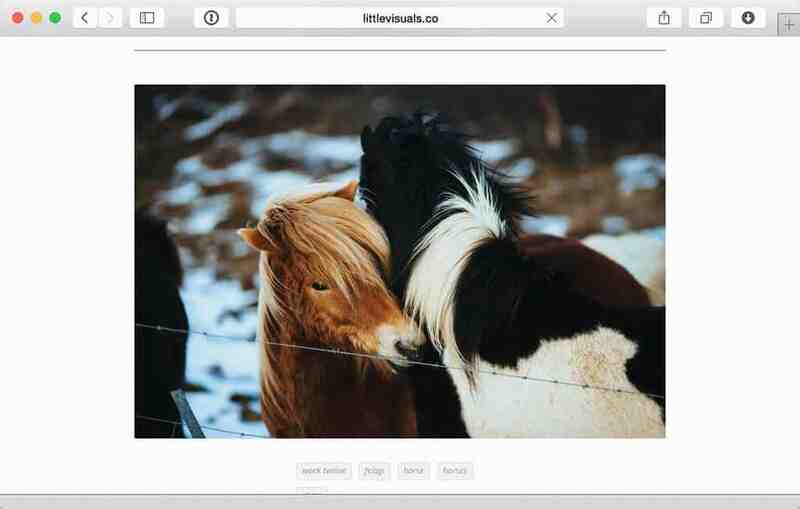 Bonus Tip: I sometimes search a topic or emotion on the Noun Project (linked below) to get ideas for the kind of image I could use in my post. 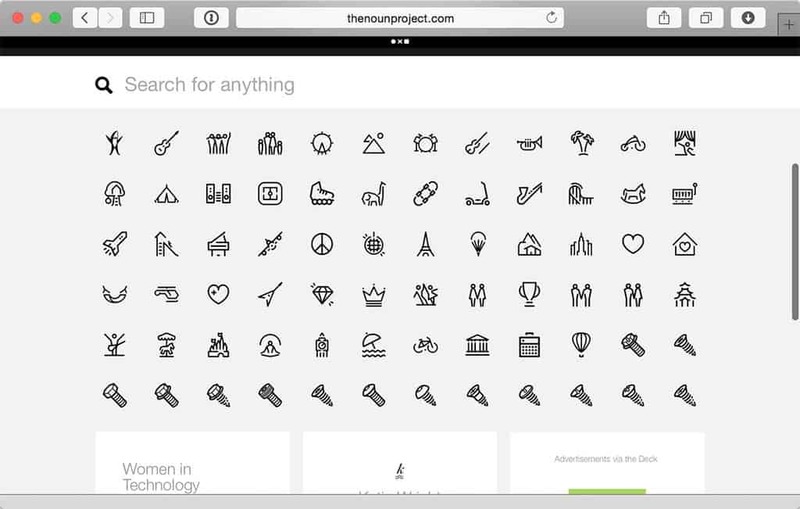 TheNounProject.com — requires attribution or purchase of some icons. Pay attention to the license. 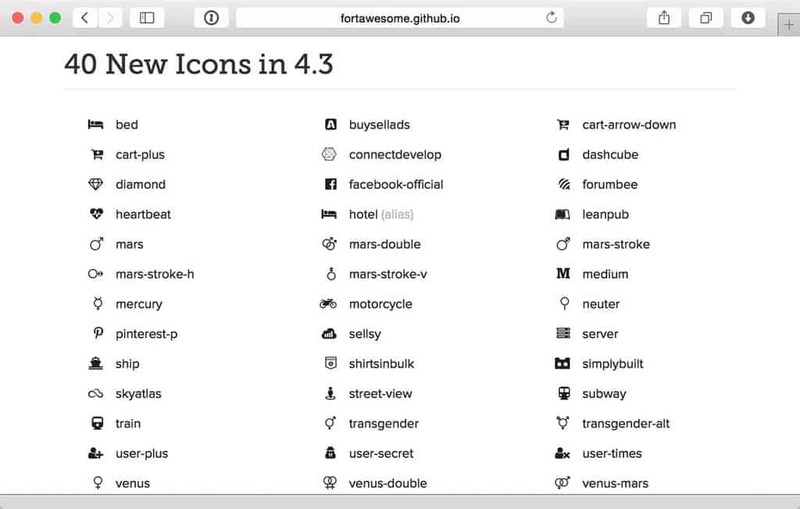 FontAwesome — This one is actually a font file containing icons. It’s kind of confusing. I just include it here for those folks who know what to do with it. 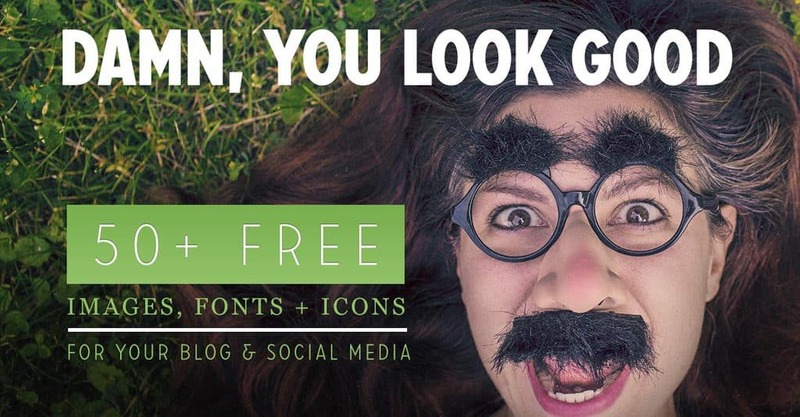 Here are a bunch of great resources for free fonts you can use to customize your images in an image editor. My Advice: use no more than two fonts, one easily readable, the other a bit more playful. Use the playful one sparingly. Keep it simple. Use as few words as possible. Use color and have fun. League of Moveable Type — beautiful stuff. 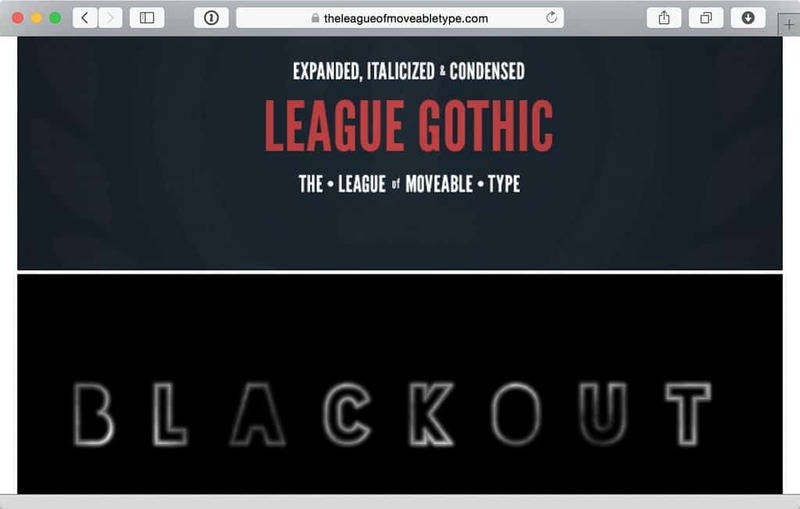 League Gothic is a modern classic, used everywhere and still looks good. 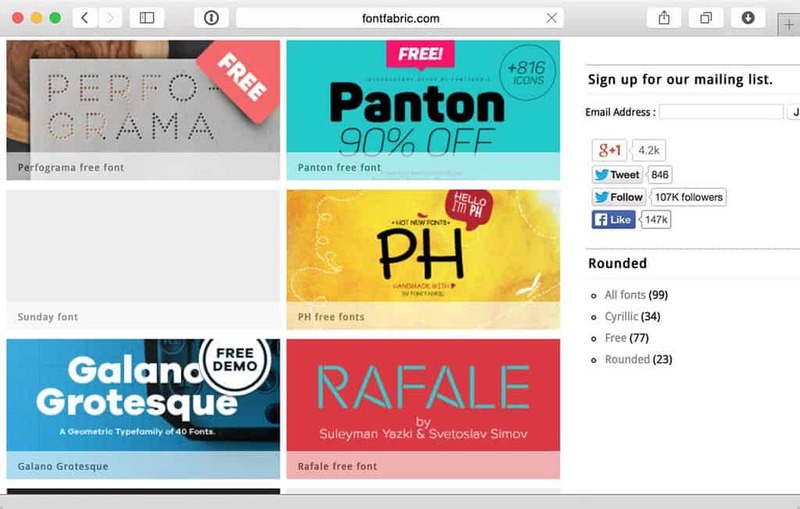 FontFabric.com — the “free” category. 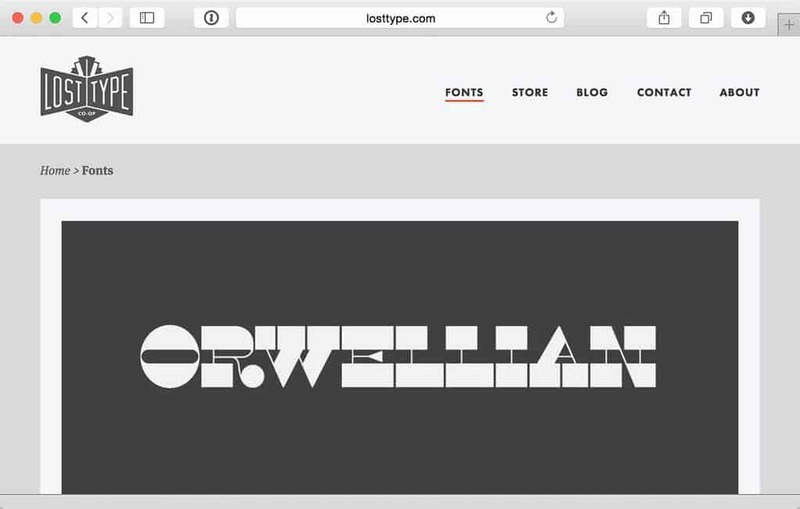 LostType.com — most of these are “pay what you want.” Kick in some bucks if you find something you love. 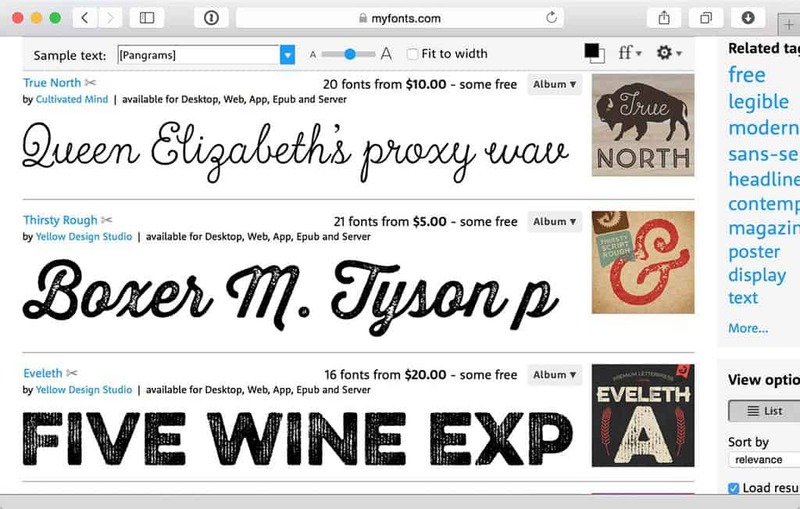 MyFonts — the “free” category. 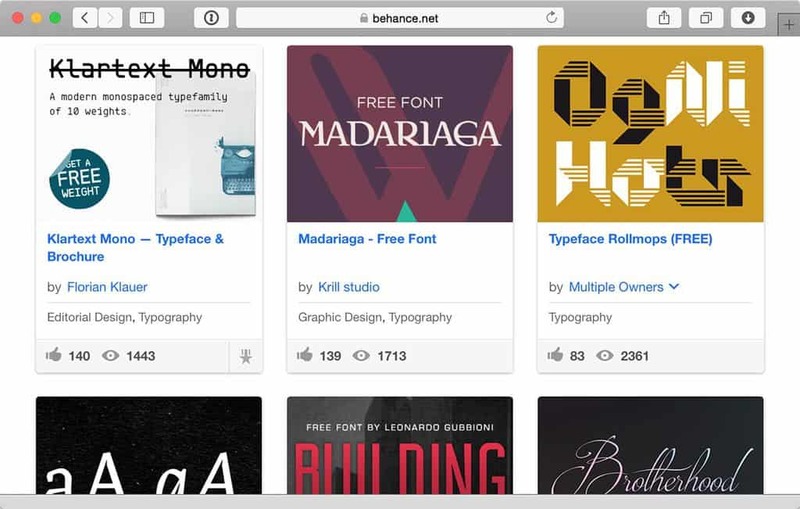 Behance Free Fonts — the “free” category. Google Fonts — you can download each of the fonts when you add them to a collection. 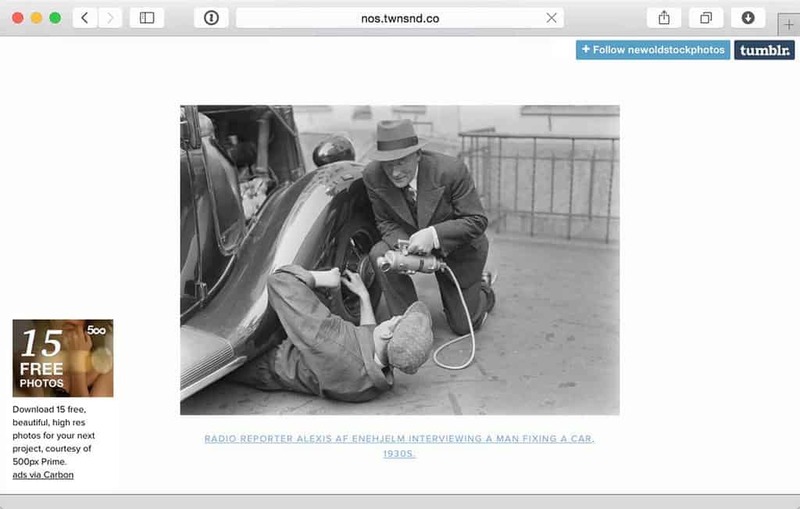 Go to Google and type this site:http://nos.twnsnd.co replacing the example URL with the URL of your choice, and click Enter. Now we’re looking at results only from that site. 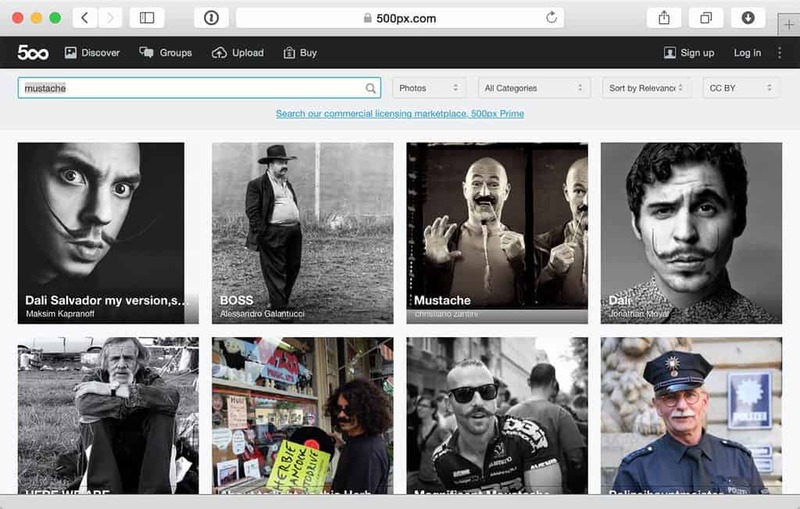 Click the “Images” tab to view only image results from that site. Here’s what my example looks like. 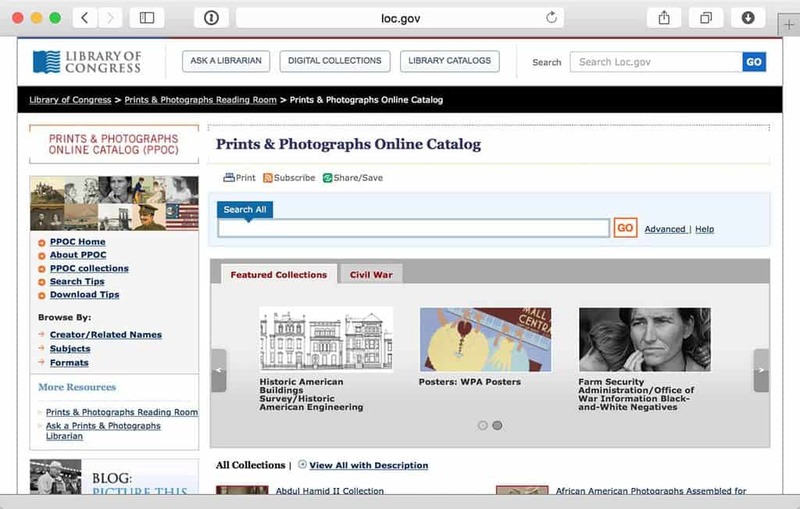 Browse or search by keyword. 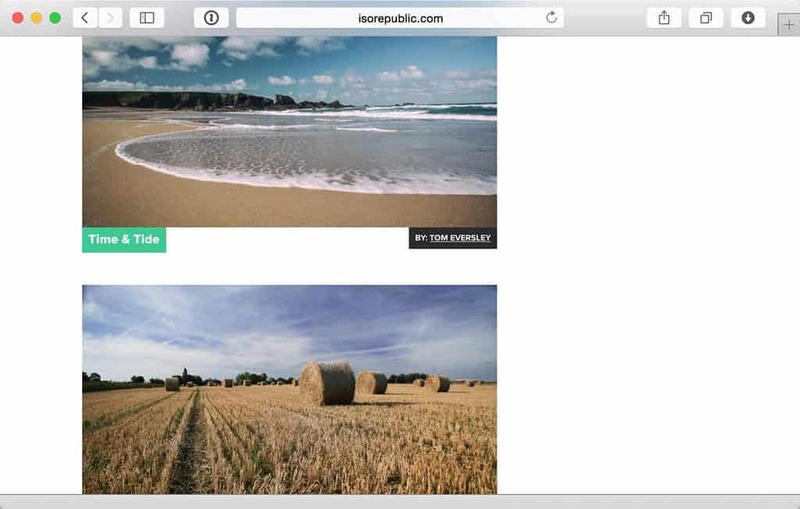 Make sure to check the license for any images you like! This finds all sorts of image all over the site you’re searching so you can’t be sure until you open the image’s page and check out the license. Sources for images, fonts and icons like this are always changing. New ones pop up, old favorites die out. If there’s some you really like, let us know in the comments and I’ll add the best ones to the post over time. Hope this is helpful for you! If you want to create your own strategy and go further with your images definitely check out the Shareable Images Course. I’d love to help you in that way as well. Remember: you’re going to be making stuff on the internet for a long time. Images aren’t going anywhere, so invest some time understanding the landscape and tools, create a process that works for you and put together some stuff you and your audience love! Break a leg. Want some key tips for stunning images?